April | 2018 | Errols Weekly Music Update. 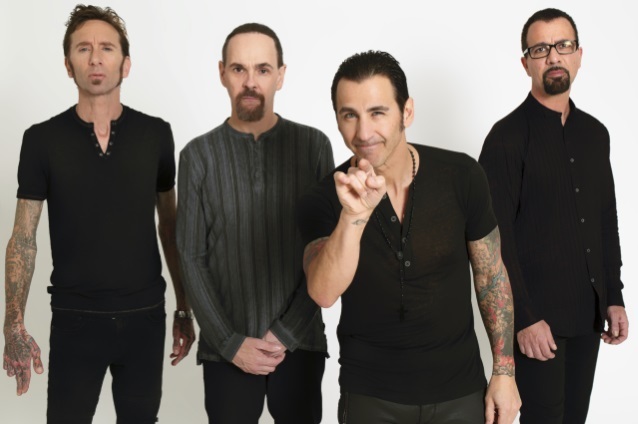 It’s been four years since Godsmack released new material and in my opinion, they were at a “crossroad” so to speak, with their musical direction. The world of “metal” can be an unforgiving and “un-forgetting” place, meaning the expectations to reproduce the similar tone that put a band “on the map” must be adhered to through and through, with no excuses, no exceptions and anything less will not be tolerated. Just ask the boys from Metallica- when they released the “Black” album you would have thought the world of metal exploded on that day to never return. Do not evolve… Do not take chances… was the message from all the “haters,” in my opinion. I thank the “metal Gods” every day for the “Black” album because it pulled me into a world that I was always fearful of and yes that was my first introduction to Metallica, so what? I had seen them live well before their 1991 release but did not recognize their infinite excellence until that moment of the release of the “Enter Sandman” album. That album dragged me in and I was hooked, so much so that I went back to the menu and ordered their first tasting and yes it did “Kill ‘Em All.” Now all these years later, seeing them live every chance they tour and owning every studio album (and other “stuff”) is my right of passage and if you want to rant and rave that I am not “metal” because I “entered” during what many see as the “non-metal” phase, so be it, I can’t change that opinion. So why so much about the “Black” album? Folks I am here to say to those same people who were like me back in 1991 that have recognized that Godsmack is out there but maybe have not “dipped their toe” in their world—NOW IS THE TIME!! I will say that I have been with this band from the very beginning when they released their debut album in 1998 and I am a freak of fan of this band as many know. I have been waiting for “When Legends Rise” for some time because in my opinion, they are taking the chance that I knew was in them and this album will forever be the body of work that blazes a trail just like the Black album did. This album from top to bottom is an “instant classic” in my opinion, there are no songs to skip over. Now the “hater’s” will say that this album crosses the line, it is not “heavy” enough and that it will drag the “mainstream” into the fray. There is piano and a “hip-hop” beat with children singing in the background—how can that be “metal?” Why does there have to be a label? Listen for what it is—passionate & energetic, and so addictive that you will be amazed how many times you can listen to this album over and over. This body of work is so worth the wait because it takes chances that most bands (or record companies) refuse to take because of the perceived notion that it will alienate the existing fan base and won’t grab new listeners because while being “radio friendly” this album still has the main ingredient of what this band has always been about- INTENSITY. Godsmack makes you up stand up & pay attention and this turn down the “hard rock” road, as opposed to the “metal” fairway, should not have passengers jump off the wagon but just the opposite—everyone who has been there from the beginning should extend their hands and arms to lift others on to the wagon to join them in the jubilation of all that is Godsmack. “Every Part of Me” has this stinging guitar sound that will make your arms point to the air almost like swatting a bee that is buzzing around you and the sing-along party will continue. “I can’t feel alive…If I can breathe the air…that’s been frozen…when you’re so far away.” Does it get any better? “Take it to the Edge” is a heart pumping, squinting eyes track that will have you lip-syncing to Sully while wishing you could sing like him and the passion will bleed right through your skin. Then it’s on to the piano… yes the piano… for the fans who follow Sully’s solo career this is no surprise but I am assuming it will be to everyone else. The beautiful & majestic- “Under Your Scars”- will take you to places that you never thought a Godsmack song would take you—lifting you off your feet as you float away to a fantasy world that you may never want to come back from—this is what music is supposed to do to you—take you that place where your spirits are lifted to the highest level. This song should immediately be placed on whatever system where music can be heard. The “higher pitched” guitar sound comes to the forefront like a rising sun with the full-body piercing “Someday”- wow, so addicting. The crushing groove, the emphatic vocal prowess and thunderous drums are too much to take as another stadium-anthem chorus will resonate in your blood stream as everyone sheds all their skin to start again. “Just The One” kicks up to another level as the head-banging is now in full gear. Sully’s vocals-which sound like it is coming out of a tunnel- matches the ferocious guitar-riff as he exalts- “I always hate the way you love me! !” The guitar solo flows perfectly and as the eighth song comes to an end you stand up and take notice on how tight and how every note and grunt has been painstakingly put into production. “Say My Name” continues the furious pace—who will say this is soft?- let them try just like they did when “Sad But True” came out. The believers knew then and now what greatness is just like they will know with this song. The albums’ last two tracks solidifies my opinion that this is an instant classic album. The very different- “Let It Out”- could be my most favorite track as the body of this song is something totally different from any Godsmack song, again in my opinion. The controlled guitar strut that is evident throughout is masterful as it provides the hook which will get you in line as you let it sink into your system. You will find yourself singing and dancing in the middle of your living room as your neighbors will wonder what is in the water in your house as you carryon like there is no one else in the room. Keep the volume up for the thunderous “Eye of the Storm” as Sully’s commands will have you bowing in no time- “Don’t you point your finger in my face” he exclaims while being backed up by the roaring guitar. The entire song is infectious and as the thunder blankets your ears you realize that the party is over but are thankful for the invite.